Best tips for changing web host from optimization view. How should I move to another host? If you're moving to a new web host there are some tips for doing it in the best way. So when you’re moving to a new host the content is usually the same but the IP is different. You should set TTL which stands for time to live in your DNS to a lower value like 5 minutes. After that you want to upload the same content from your old web host to your new web host and to switch over your DNS setting to point to the new IP address. Once you see that Googlebot and almost all users start to come to new address you may consider it done. You can also keep both locations while traffic is rising to new location. Today I wanted to talk a little bit about how to move your stuff from one web host to another web host. So maybe you didn’t like the deal that you were getting with your current guy, and you’re switching to a new web host. Your domain name remains the same. 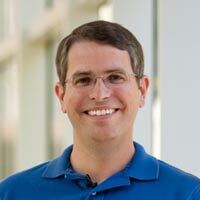 So maybe it’s mattcutts.com or example.com. Your domain name is the same. But you’re moving to a new IP address because you’re moving to a new web host. So let’s talk through the process of how exactly you do that. First thing you need to know is that there’s this wonderful thing called DNS. It maps a name, like example.com, so let’s write example.com, to an IP address. So when you look up in DNS something like example.com, it says, go to this particular IP address and ask for it, and you will get something back. That’s the way everything works. Life is good. Everybody’s happy. So what happens when you want to shift to a different web host? Well, it’s at a different IP address. The content can be the same. In fact, it should be the same. But now you want to switch example.com to point to the new location. So here’s what you need to know. There’s a thing in DNS called TTL. TTL stands for time to live. And it’s basically, once you’ve looked up the IP address for a particular domain name, how long you cache that. So you can typically save it for a day. So if you’ve looked up example.com, you know the IP address, you don’t need to check until the same time tomorrow. However, you can in some cases set the TTL to be much lower. So for example, you might want to set it to be something like five minutes. Now if you don’t easily find a way to set your TTL to be low, it’s not the end of the world. It’s just a nice little optimization to say, go ahead and anybody who’s checking in the next five minutes, after five minutes, check again, so that you can see how quickly things happen. So here’s what you do. First, if you can set your TTL, set to be low, something like five minutes. Now you’ve got your content. So let’s make your content be a happy face. Maybe he’s got a freckle. So now you’ve got another happy face because you want to upload the same content from your old web host to your new web host. And the idea is no matter which IP address people go to, they’ll end up finding your content. So in an ideal world, you can have your site running on both locations. If it’s static content, it’s easy. Just make a backup. Just make a mirror. If it’s dynamic content, then it’s a little bit trickier. But what you can do is, this stuff can happen in a relatively quick period of time. So you can have this stuff handled via a back end over here, and it could send stuff to the same back end, for example. But let’s just take the simple case. Let’s take the case where you’ve got nothing but some static content. So you’ve set your time to live to be low. You now have your content on both sites. Now’s the time to switch over your DNS setting to point to the new IP address. So we’re going to make this dashed, and we’re going to make this solid. And what that corresponds to is, now when someone looks up example.com, they’re getting the IP address of the new content. So every so often, Googlebot comes along. So at least the heuristics used to be, in the old days, at least once a day, we’d recheck to make sure that the IP address has changed. So you’ve set your time to live low. You’ve uploaded your content to both sites. You changed your DNS to point to the new IP address. Now you just want to check that Googlebot, and users, and all those people, are finding your content at the new address. If you set your time to live to be pretty low, within five or 10 minutes, you should see people streaming in on your new website. If your time to live was not set, then probably after a day or so, you’ll notice people going over to the new address. Various weird browsers can cache in very strange ways, but that’s a pretty good rule of thumb. Once you see Googlebot start to come to the new address, you should be in pretty good shape. It doesn’t hurt to keep the content live in both locations just for a little while. But what you’ll notice is the traffic, bot traffic and people visiting the site, will sort of taper off, while on the new site, they sort of ramp up. And once you see that ramp up pretty nicely happen, and you don’t see as many people over here, then it’s pretty safe to go ahead and remove this content off of this IP address. So if you’re not happy with your current web host, you can change. And it’s not the end of the world. It’s not that risky. Just changing your DNS to point to a new IP address is something that, It’s a good exercise for everybody to do, just so you know how things work. And if you think about it, it makes sense, as far as every so often, they’re just checking what the setting should be. And when they find a new setting, they just go to the new location. I hope that helps. And good luck migrating to new IP addresses.